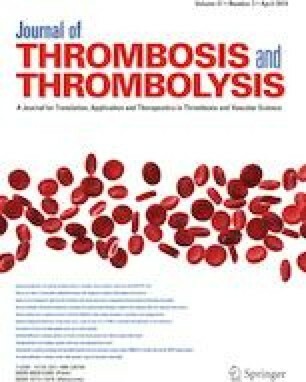 Patients on mechanical circulatory support (MCS) devices carry a high risk for thrombocytopenia and due to the routine use of heparin, heparin induced thrombocytopenia (HIT) is frequently suspected. HIT Expert Panel (HEP) and 4T scoring tools have been validated in the general medicine population to assess the probability of HIT diagnosis, however, these tests have not been validated for use in patients requiring MCS support. The objective of this study was to assess the association of 4T and HEP scores to available assess HIT diagnostic tests in patients requiring MCS. We conducted a retrospective review of patients requiring MCS who had heparin PF4 antibody optical density and/or serotonin release assay results reported. A 4T and HEP score at the time of heparin antibody ordering was calculated. Utilizing previously described ranges for HIT diagnostic tests, patients were categorized into two HIT probability categories: probable and not probable. Descriptive statistics were used for the 4T and HEP scores in both HIT probability categories and t-test and receiver operating characteristic (ROC) analysis were used to determine the association and agreement between each scoring tool and HIT probability. Eighty-five patients were identified who had HIT diagnostic tests ordered while on MCS; 7 patients were classified as HIT probable and 78 patients were classified as HIT not probable. Based on ROC analysis, 4T score and HEP score had an AUC of 0.88 (± 0.06) and 0.96 (± 0.02), respectively demonstrating high predictability of HIT. Utilizing sensitivity and specificity analysis through ROC curves, a cut off score of 3 for 4T score and 1 for HEP score was established. Based on our analysis, both 4T and HEP scores have high predictability of HIT in the mechanical circulatory support population. TMT assisted in the design of the study, performed data collection, assisted in data analysis and interpretation and drafted the manuscript. AF conceived the presented study design, assisted in the data interpretation, performed critical revision of the article and provided the final approval of the version to be published. QX performed data analysis, performed data interpretation and created the associated figures and tables. KD assisted in the design of the study, assisted in data interpretation, performed critical revision of the article and provided the final approval of the version to be published. No funding was received to conduct any portion of this study. All authors do not have any financial or non-financial conflicts of interest to disclose. Finally, due to the retrospective nature of this study, informed consent was not needed to conduct this study. This study was reviewed and approved by our institution’s Institutional Review Board.